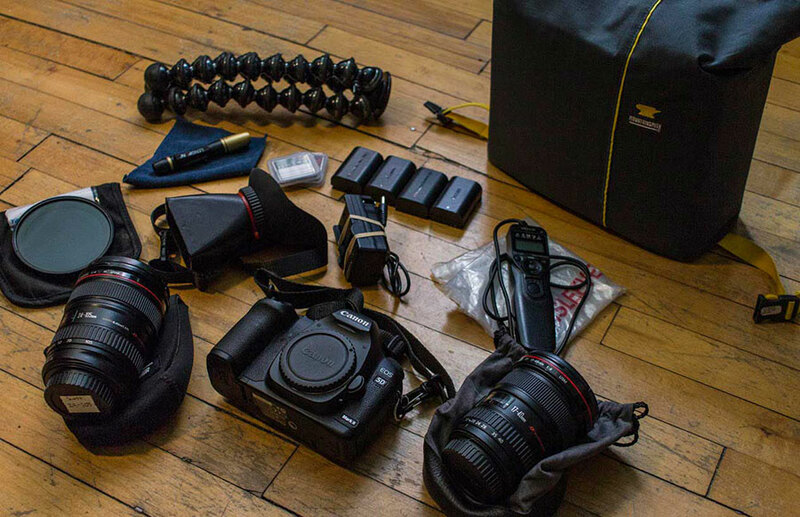 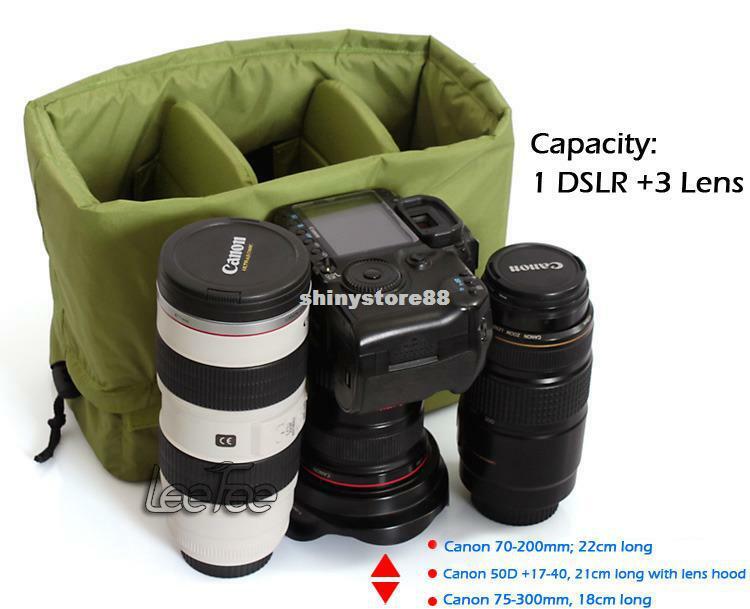 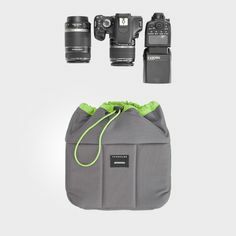 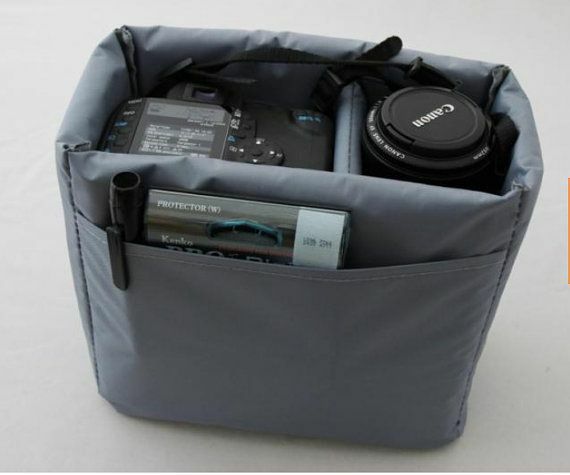 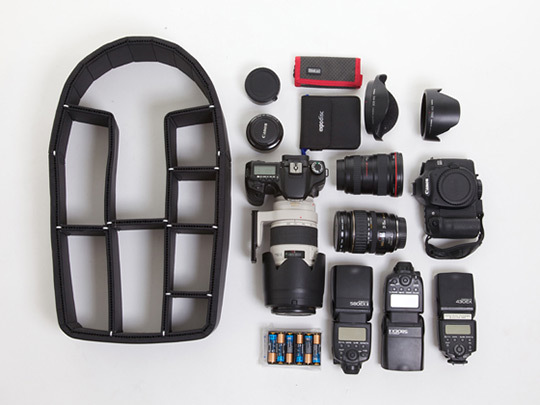 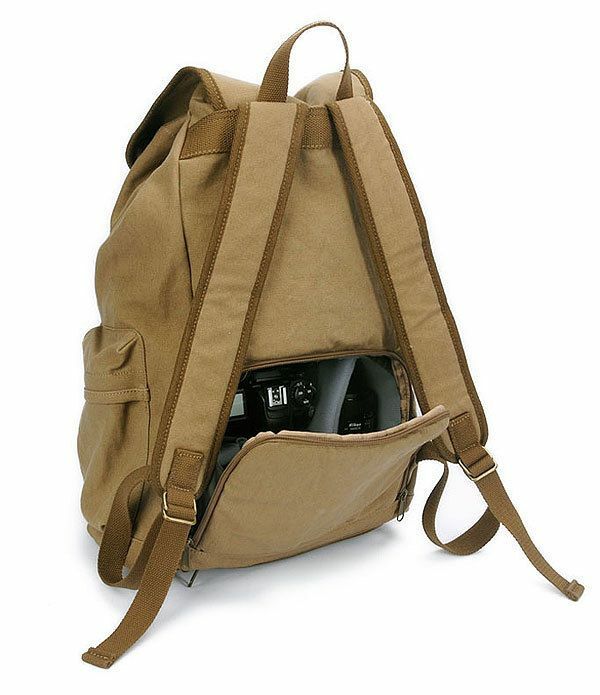 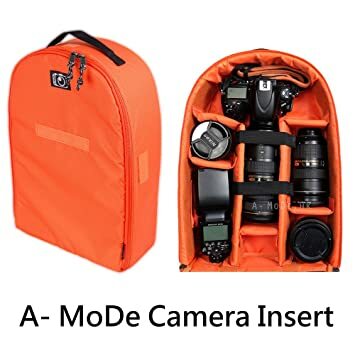 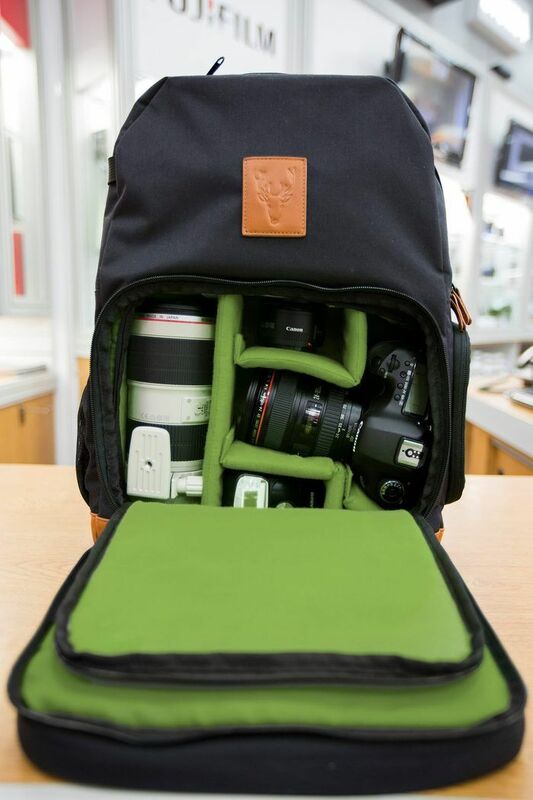 This transforms any purse into a camera bag (different sizes available). 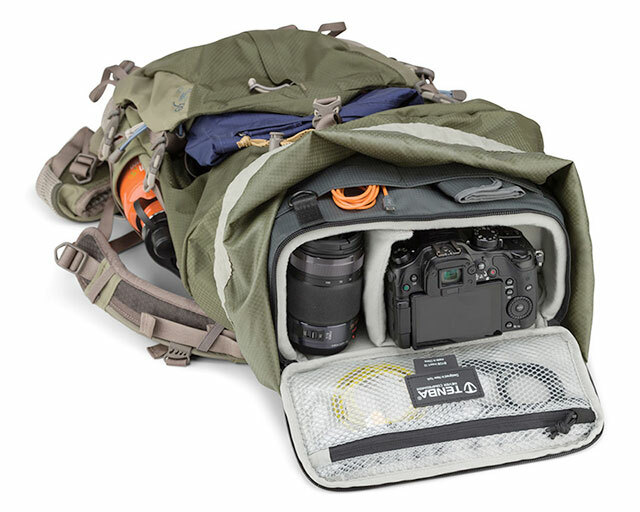 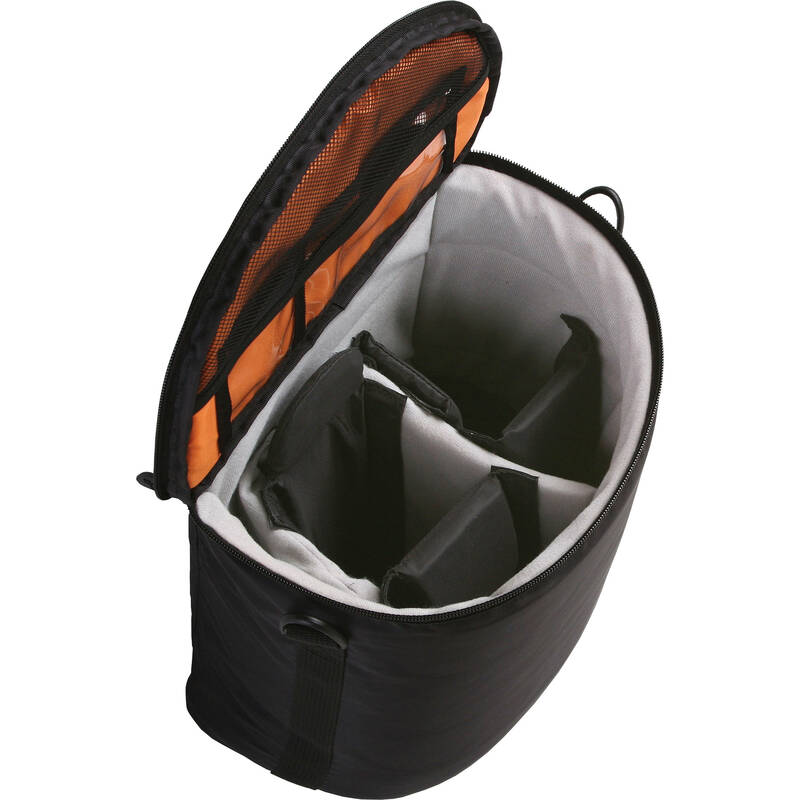 Center top: Mountainsmith traveller packed with 4 lenses and camera body shown above. 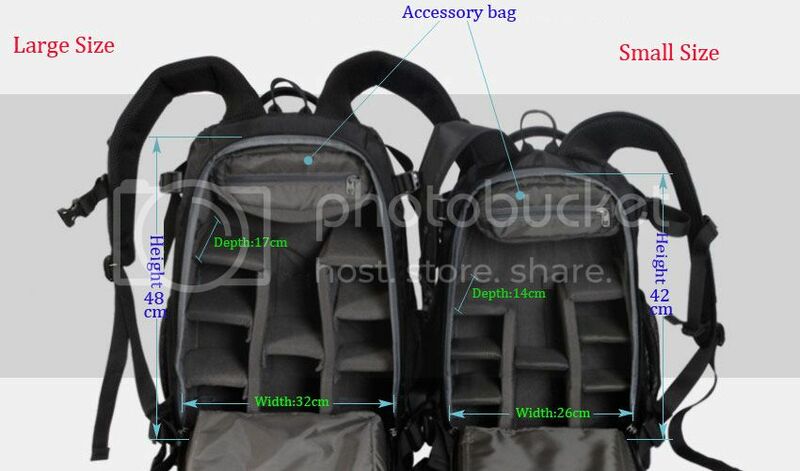 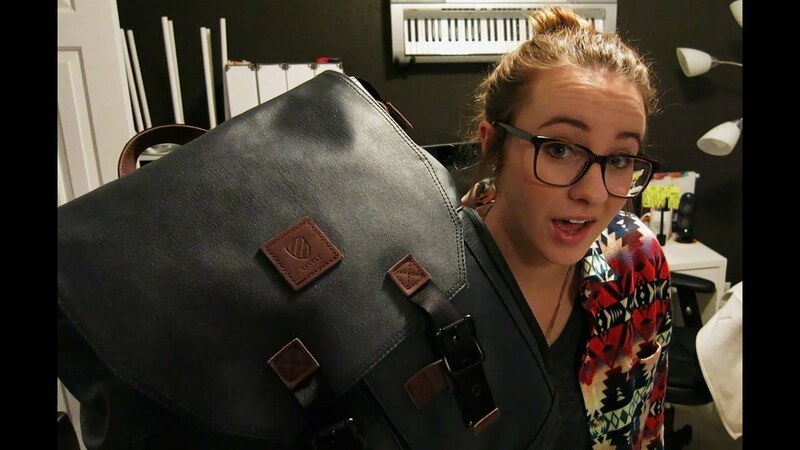 Center Bottom: Macbook air 11″ in neoprene sleeve.